Dae Hun Kwon works with sculpture, installation and performance. 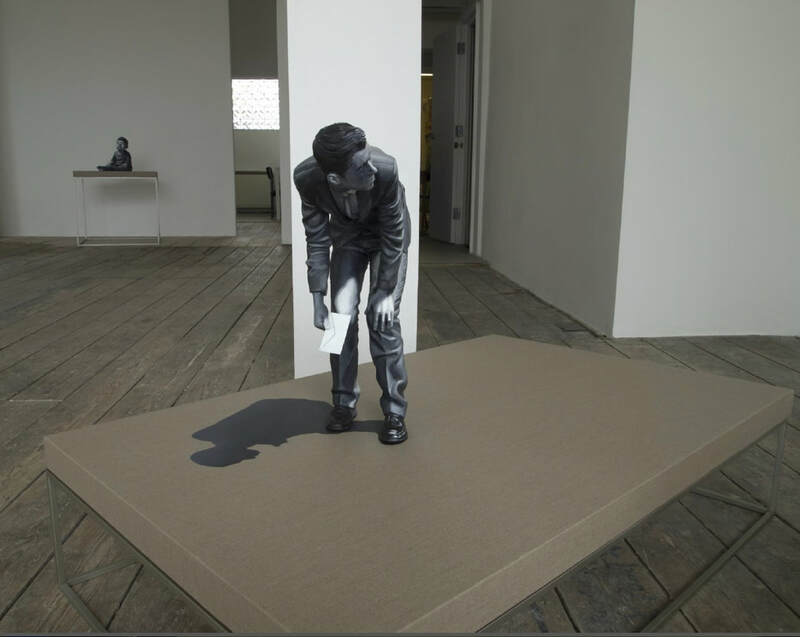 His work is imbued with a distinctive sense of time as marking material objects including people in such a way that they become signs of their part in the configuration of moment (the artist refers to the Korean expression ‘Chalna’ which he translates as ‘the very moment when a thing or a phenomenon is developing’). In his painted sculptural objects Dae Hun Kwon depicts highly specific but fleeting interrelations—between individuals performing often seemingly insignificant actions, physical things/objects realised with an acute feeling for their uniqueness and the registration of light. These objects achieve a phenomenological deep realism that is spiritual in the sense of an observed transfiguration of some secular, mundane subject matters. The method of realism the artist adopts is associated both with the careful observation of physicality as a species of truth to materiality and a willingness to place the physical within an appropriately fragile continuum sensitive to a kind of perceptual impressionism. This as a kind of limit case for the real. Increasingly the artist alludes to narratives: for instance, a sculpture depicts a small baby with a mobile phone under one foot and a rocket in hand. The sculpture has a dramatic monochromatic finish, as if lit by a flash. 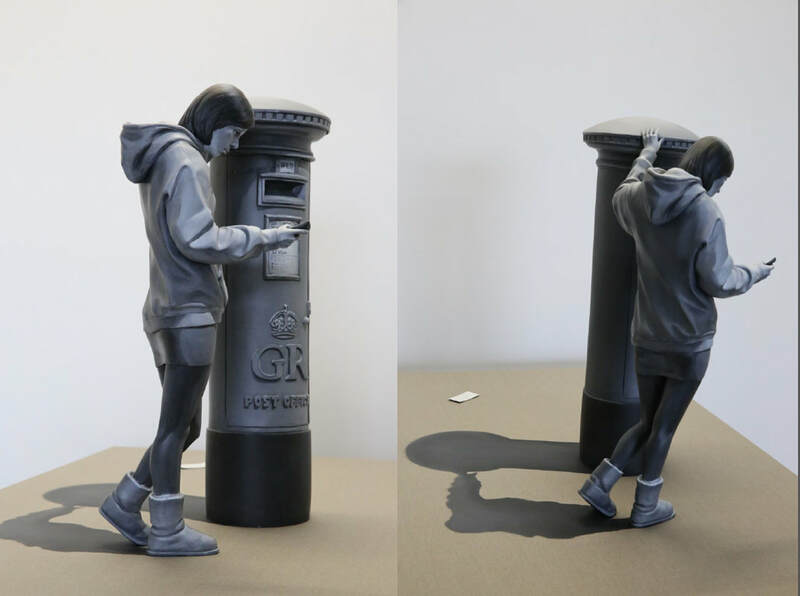 In another work, a young women checks her phone while her hand is placed on an English post box, here the relation is almost one of paradox: the brilliant red post box is realised almost as if it were a machine for time travel, backwards that would be. Kwon was born in Seoul, South Korea in 1972, and moved to London in 2002. He now lives and works in London and Seoul. Kwon has shown internationally, including Primavere del bianco, MoA (Museum of Seoul), (2010) Blindness, Bo-an Inn project space, Seoul (2010) everything depends on your mind, Gallery b’ONE, Seoul (solo) (2010). Other institutional shows include USB: Urban Nomadism, Hangaram Art Museum, Seoul Arts Centre, Seoul, 2009, Your Mind’s Eye: Digital Spectrum, Seoul Museum of Art, Seoul (2008) Light of the Earth, Gwacheon National Science Museum, Gwacheon,Korea (2008). 2008 Your Mind’s Eye: Digital Spectrum, Seoul museum of art, Seoul Korea.